Whitehorse has become the first municipality in northern Canada to partner with the burgeoning Arctic Inspiration Prize. City council voted unanimously Monday evening to provide $10,000 to enhance the $1-million-plus in prize money. That money has been given out every year since a couple of Swiss and Iranian origin started the project with their own money in 2012. Gov. Gen. David Johnston and Rideau Hall have agreed to administer what is becoming known as the Nobel Prize of the North. With administration now being handled by the Governor General’s Rideau Hall staff, any additional donations from partners will go directly to the prize money. Unlike the Nobel Prize, the aim of the Arctic Inspiration Prize money is not to recognize and reward outstanding achievements. Rather, the intent is to stimulate grassroots innovation and partnerships in sustainable community projects that will benefit the North. Of the $1.5 million awarded in 2015, $600,000 went to a partnership of the three territories involved in a recreational training project, an initiative led by former Yukon Olympian Zach Bell. It also supported an initiative in the Baffin region to improve educational outcomes in the Arctic where there is an abnormally high rate of hearing loss among youth. 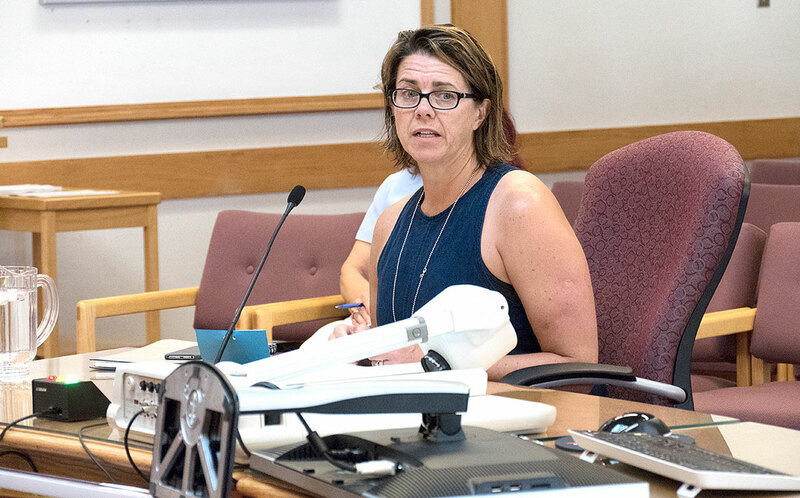 Whitehorse resident Patti Balsillie, chair of the organization’s charitable trust foundation, appeared before council Aug. 1 to encourage the city to provide the $10,000 donation. That donation will go toward the 2016 awards. The deadline to submit applications is Sept. 30. City administration told council last week future donations could be a matter to be addressed in annual budget discussions. Geraldine Van Bibber, chancellor of Yukon College and a former commissioner of the Yukon, is on the high-profile committee which selects the projects for funding. The territorial government and Air North are among the other Yukon partners. Swiss-expatriate Arnold Witzig and Sima Sharifi, who arrived in Canada in 1986 as an Iranian refugee, co-founded the Arctic Inspiration Prize. In an interview with the Star last fall, Witzig explained the couple has a love of the Canadian North and founded the prize to encourage positive community development in the North. Their intent is to donate $50 million to establish a permanent trust next year in recognition of Canada’s 150th birthday. Why didn't Mayor & Council get an 'Arctic Inspiration ' to spend that $10k on the Food Bank or SallyAnn soup kitchen where it would actually do some good? Did they now? How very sweet of them doing such a noble thing...with YOUR money! Did they order up a solar powered voice activated robotic back patter? They might as well, as it must be exhausting having to do it themselves. What a completely outta touch, fiscally irresponsible, delusional bunch. Easy to act benevolent with others cash...as is demonstrated every day within the civic structure of nobles. Wow, so that's my property taxes for the year plus the taxes of 3 more home owners just like me gone in a puff of smoke because the city decided to give it away. Hey if anyone in the city is listening, if you have so much of our tax money available that you're throwing it away please stop raising our ever increasing taxes! You are supposed to be the responsible stewards of taxpayer dollars maybe you should start acting as such!